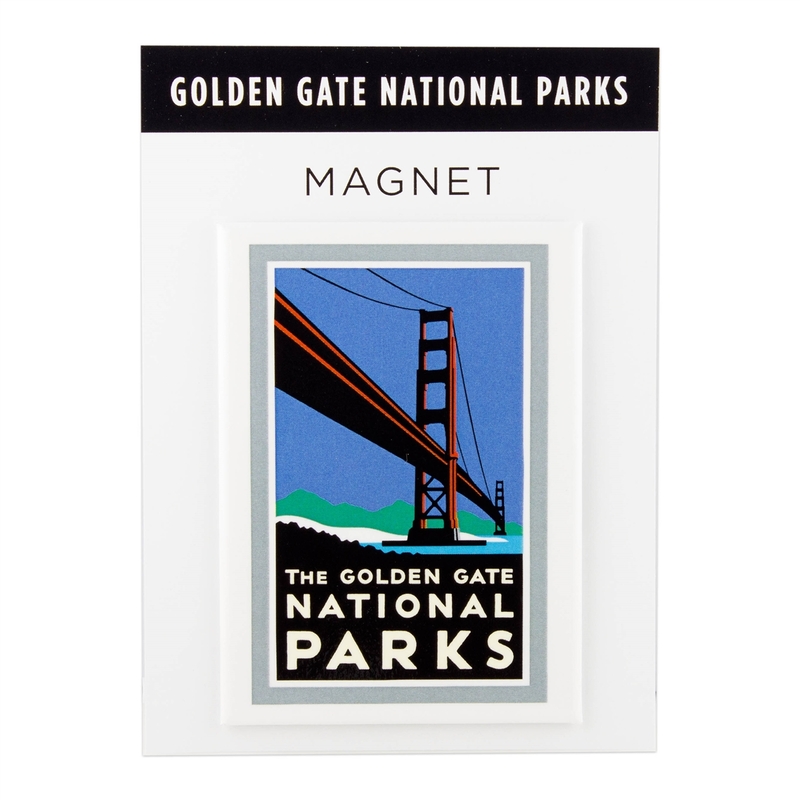 Showcase your park love with this Golden Gate National Parks Magnet, featuring artwork by renowned San Francisco Bay Area designer Michael Schwab. 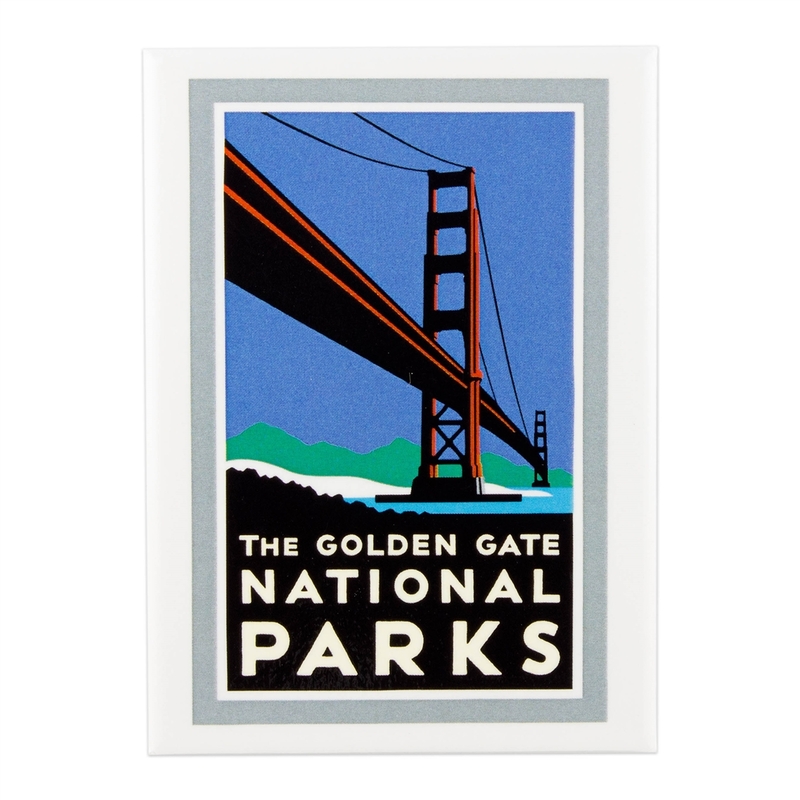 Extending in all directions from San Francisco’s Golden Gate is a vast collection of national parks. A rich blend of natural and historic sites that preserve a variety of splendid landscapes and habitats as well as important landmarks can be found within the park’s boundaries.